NatureBoy Beats is the vision of Nate Jackson. Nate’s love of music began at an early age as a young boy living with his grandparents in Plaquemine, Louisiana while his mother was enlisted in the US Army. He grew up listening to his mother’s music collection which included Michael Jackson, Prince, Teddy Pendergrass, and hundreds of other R&B and Soul Artists as well as a new genre that was still in its infancy called rap music. The first rap songs he remembers hearing are Rapper’s Delight by the Sugarhill Gang and The Breaks by Curtis Blow. But the song that really made him fall in love with hip hop was La Di Da Di by Slick Rick. He went on to build a huge library of Classic Rap music and incorporated music into every aspect of his everyday activities. At age 9 Nate began playing trumpet in his elementary school band class. But he almost quit band as quickly as he started. See, he and his friends all joined the band together, but his friends hated the fact that band class was 3 days a week during recess, so some of them decided to quit and Nate quit along with them, so they could go back to enjoying recess. When his mom found out Nate had quit, she let him know how disappointed she was about him quitting and convinced him to go back and give it another shot. It turns out Nate had a knack for the trumpet, and in sixth grade Nate was awarded the Outstanding High Brass award as well as the Bandmasters’ Award at his school, beating out his sixth grade classmates as well as all the seventh graders. In seventh grade Nate moved from Louisiana to Fort Worth, Texas to live with his mom and took his love of music with him. Nate continued playing the trumpet throughout middle school and high school. He won several awards and earned a spot on the All-City Band in Fort Worth, Texas. In high school marching band, Nate earned the first trumpet part, and eventually first chair, as a freshman and held his spot throughout his four years in high school. In college Nate decided to focus on his studies and didn’t join the band, but he was able to continue expressing himself musically by joining his school’s Gospel Choir. With his deep and booming voice, he sang Baritone and Bass parts in the 35 member ensemble. After graduating from college with a Bachelor’s Degree in Mechanical Engineering, Nate was introduced to the world of music production using digital audio workstations, first through FL Studio and later Reason. He fooled around with music in his spare time when he wasn’t working and began learning more about audio, midi, mixing and the technology that made it all work. His first beats sounded pretty lame, as most do at first, but he knew that if he just studied and practiced more and more he would continually get better, just like playing the trumpet. Nate’s goal in creating this site is two-fold. First, he wants to share with you his love of music by allowing you to hear the music that has been inside him for years. His other objective is to support you as an artist and performer. 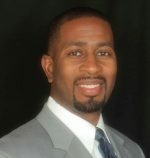 He wants to provide you with the music and inspiration you need to help you transform your ideas into finished products. Feel free to check out the beats on the site or contact Nate with any questions. How Do I Purchase Beats and what happens next? When you are ready to order, click the Shopping Cart in the top right corner of the Beat Store to redirect to make payment via Paypal or Credit Card. What Are The Differences Between License Agreements? Will My Files Be Mixed and Mastered? You will receive both a mastered and unmastered version of the instrumental playing on the website. The voice tag is removed. It is advised you write your song using the mastered version for best energy and inspiration and use the unmastered mp3 or wav file to record with. The mastered and unmastered files are labeled to eliminate confusion and the unmastered versions leave about 6 dB headroom for you to record vocals and for engineer to add mastering effects. The tracked out stems are tracked out as mixed, leaving you maximum flexibility with your mixing decisions. Unmixed stems can also be sent on request. Are beats removed from the website once bought? Beats purchased with a Standard, Premium, or Unlimited Lease License are non-exclusive and remain in the store. This means additional licenses can be sold to other artists. When a beat is sold with an Exclusive License, it will no longer be available for sale or download, and is removed from the store. The next question and answer will explain how the same beat can be bought by multiple people. What if two different people buy the same beat? If two different people buy the same beat, they can still each copyright their own song they make with that beat, and sell, distribute, perform and broadcast that song, keeping all their own royalties. 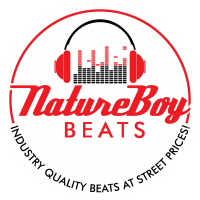 When you purchase a non-exclusive beat from NatureBoy Beats, the copyright for that beat alone still belongs to NatureBoy Beats. However, the copyright for the song that you make with that beat, your lyrics combined with that beat, belongs to you. And with the rights granted to you by the NatureBoy Beats license agreement, you are allowed to sell, distribute, perform and broadcast (TV, radio, Internet) that song, keeping all of the royalties. Can I change up the beat after I buy it? Yes, you can chop, loop, speed up, slow down, add extra sounds, and change up the beat as much as you want as long as you still give full production credit to NatureBoy Beats. What are tracked out audio files? Tracked out audio files, also called stems, are sub mixes of an instrumental. For example, an instrumental might have the four stems: Bass, Beat, Percussion, and Instruments. The Bass stem being the bass; the Beat stem being the kick and the snare; The Percussion stem being the hi-hats, shakers, and crash cymbals; and the Instruments stem being the strings, organs, and synths. All of these stems are the full duration of the instrumental and can be layered together to recreate the stereo mix of the original instrumental. The reason for stems is that they allow for more precise fine tuning while mixing a song. For example, one can adjust the gain on the Bass without affecting the low end of the Cellos. Or you can mold the cymbals around the vocals without affecting the punch of the snare. Although the beats are sent to you already professionally mixed, depending on the particular artist’s vocals or the sound of the rest of their album, adjustments may want to be made in mastering. With stems these adjustments can be made much more accurately and easily. How do I give credit to the Producer?